Soak in style with a luxury freestanding bath. What is a Freestanding Bath? A freestanding bath is an up-to-date version of the traditional bathtub. Rather than being nestled into a corner of the bathroom, a freestanding bath is finished on all sides and able to stand alone. An increasingly popular feature in modern bathroom renovations, standalone baths are also designed to be self-supporting and lend themselves to a deeper, more satisfying soak. With plenty of choices available, you’re sure to find your ideal design. Promising a luxurious bathing experience, here are 3 freestanding bath brands you can find at Doug Cleghorn Bathrooms. Carron is one of the UK’s premier bath manufacturers. Every one of their exquisite products is hand finished to the highest of standards and their freestanding bath range features both modern and classically styled versions. Their timeless Highgate line is inspired by the Art Deco era and if you’re also a fan of the recent revival of brass, you must take a look at their limited edition freestanding bath – an enchanting, elegant copper statement on their Ascoli design. One of our recent projects also featured a Carron Status Bath and this particular model came with a 10-year manufacturers guarantee. Establishing the first freestanding bath, Clearwater design for all bathroom styles and spaces and offer a range that covers both modern and traditional, baths, basins and taps. Whether you have your eye on a design from their modern collection or would prefer the dreamy curves of their roll top slipper bath, there’s no doubt that Clearwater design for comfort and durability with many of their products available in small or large sizes. The brand is also very popular amongst our customers with this particular project displaying a standalone bath from their Formosso Petite range. Offering contemporary and minimalist designs, Val is LAUFEN’s latest and revolutionary new bathroom collection. Featuring distinctive structures and architectural lines, the range also consists of washbasins, bowls and furniture, with a freestanding bath design taking centre stage. One of our recent projects actually featured LAUFEN’s trademark Val design and their Natural Stone bath was an elegant addition in this luxury, modern wet room. We hope you have enjoyed reading our latest blog post and exploring the world of luxury, stand-alone baths. 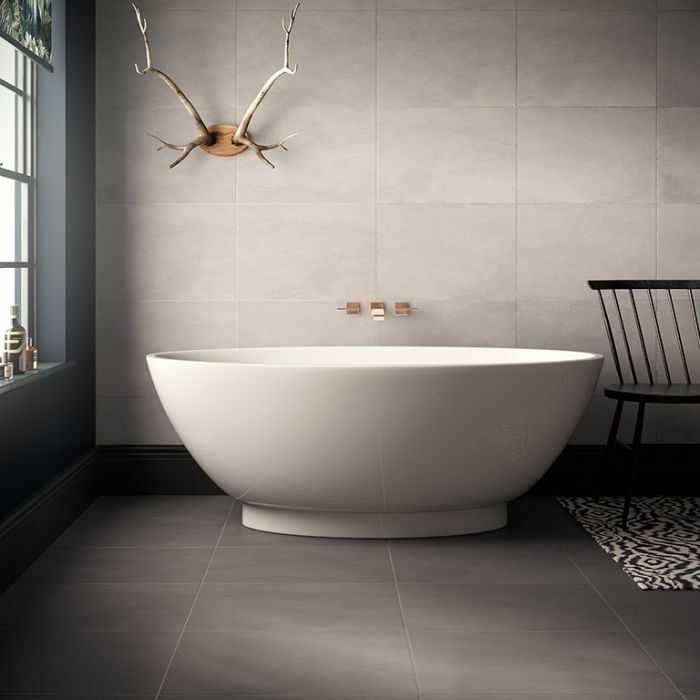 A key ingredient in your new bathroom design, a freestanding bath will certainly make a statement, no matter if your home is contemporary or traditional. A premier company, we cover Harrogate bathrooms and also Wetherby bathrooms and our high number of 5 star Google reviews only prove to support our first-class service. After a stressful working day, all you need is bubbles in the tub with bubbles in a glass. So before you splash out on a freestanding bath, we welcome you to visit our range in our Doug Cleghorn Bathrooms showroom. Soak in style with a luxury freestanding bath. Image source: Verona Group.